I’ve had the pleasure of casting this one, and it is as fun as it looks. 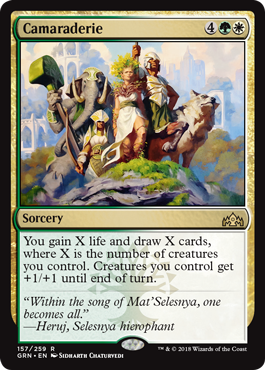 Drawing three cards and gaining 3 life isn’t that hard to do, after which your creatures even get to swing for extra damage. It’s trivial getting more than that, at which point you’re just enjoying the sweet Selesnya gravy.